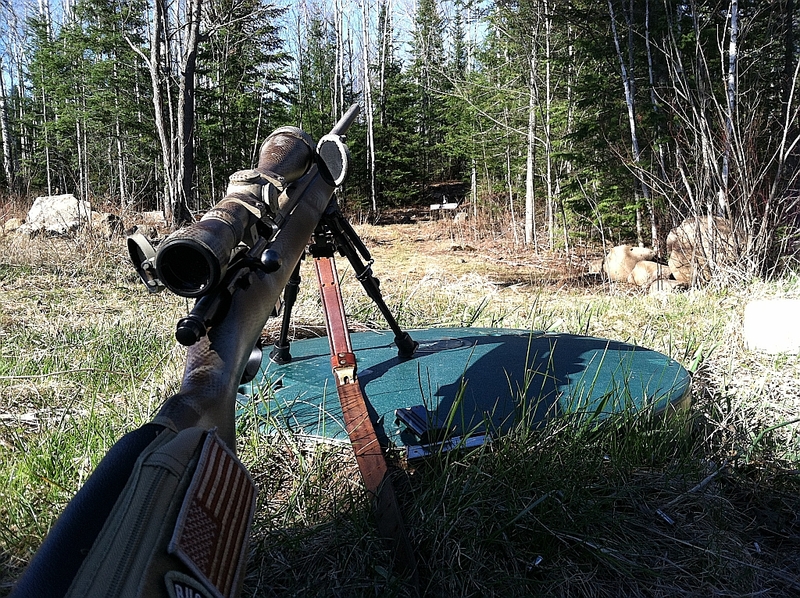 Any Backwoods Bum worth his salt has tramped field & forest with a handy rifle slung over the shoulder. I am no exception though whether or not I am worth might salt might indeed be open to debate. While there's always the classic deer rifle during hunting season, the gauge during duck season, each season there is a calling I guess. Still, there's always a use for a .22. The .22 LR, low cost, virtually no recoil, relatively quiet and abundant, it is one of if not the most popular cartridge in the world. Its origins can be traced to 1847, and commercial production in 1857. 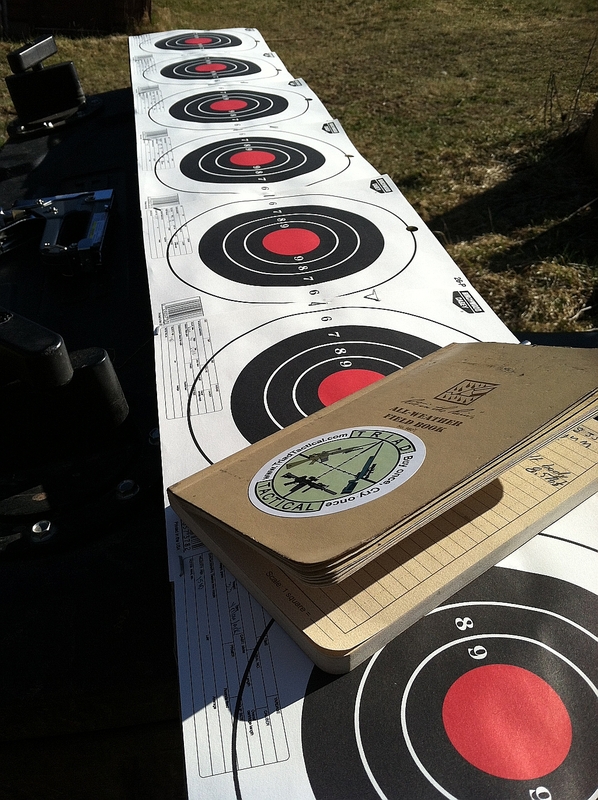 Pest control, plinking, firearms introduction training, small game hunting, the list of uses is quite extensive. I've had one since I was young boy, the models and types have changed over the years but there's always one in the cabinet. Most recently a Marlin 925 became a pet project, new glass, bipod, DIY paint, and a trigger job. 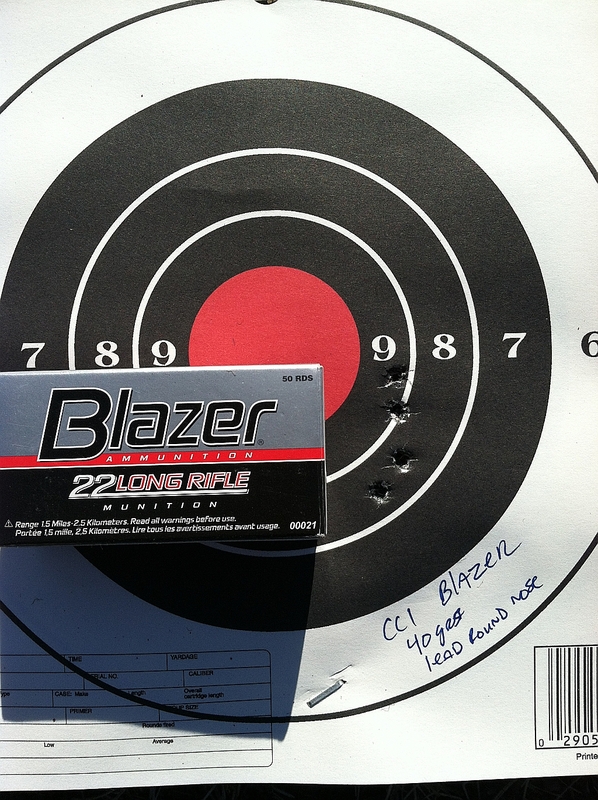 It's fun to shoot and quite accurate if I do my part. In the process of zeroing the rifle, I was intrigued by the vast assortment of ammunition types available. I'd read in multiple locations about how some rifles were more or less accurate across the ammunition spectrum, I decided to try several different types of ammunition in order to figure out what my 925 liked best. 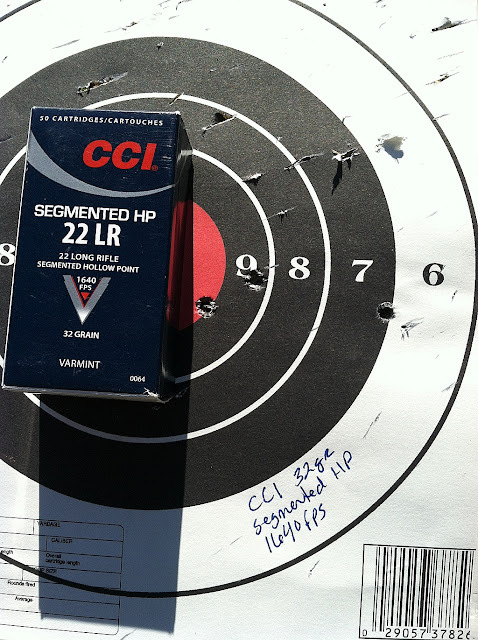 Part one of this multi-part series is primarily focused on initial accuracy out of the box, reliability, and consistency. Having read quite a few articles on the various types I settled on sixteen different types, I know, that's a lot but I didn't see a reason not to test as much of what's out there as possible. Some are by the same manufacturer, just a different flavor. 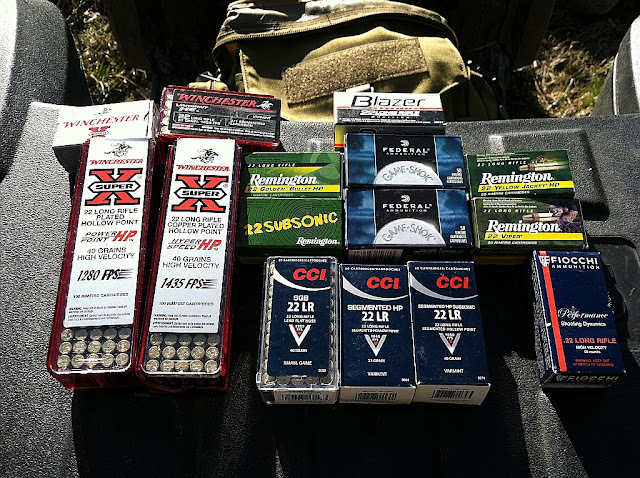 Ammunition types pictured above, CCI Stinger was left out of the picture by accident. 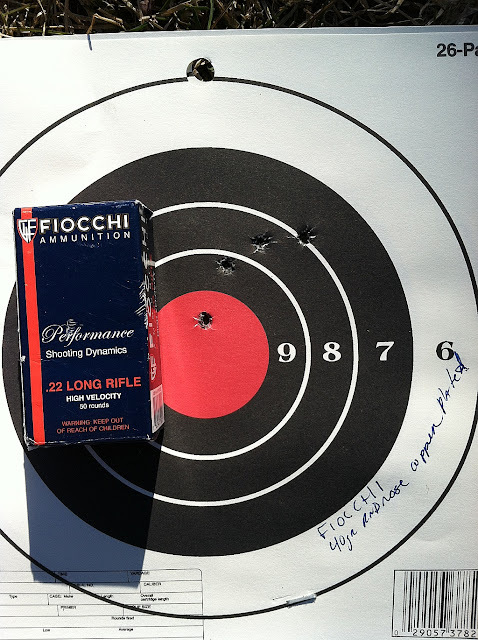 Four types from Winchester, five types from CCI, four types from Remington, two from Federal and one from Fiocchi. For phase one all I'm doing is shooting prone at 65 yards. I'm not trying to squeeze any extra accuracy. 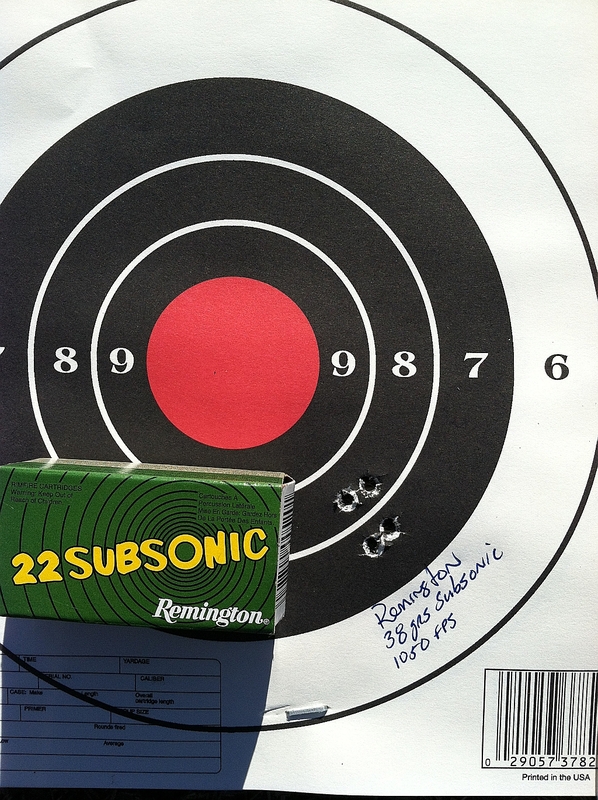 Just holding on the same spot and shooting four rounds of each ammunition type. Again, these are four shot groups, each set fired relatively quickly. *There was one exception to this, the first set of CCI Stinger ammunition, a total of twelve rounds were fired instead of the four. The targets are pretty simple. Phase One Results are below, again, this set was not geared towards maximum accuracy. This is just a quick and dirty load 'em up and shoot them. 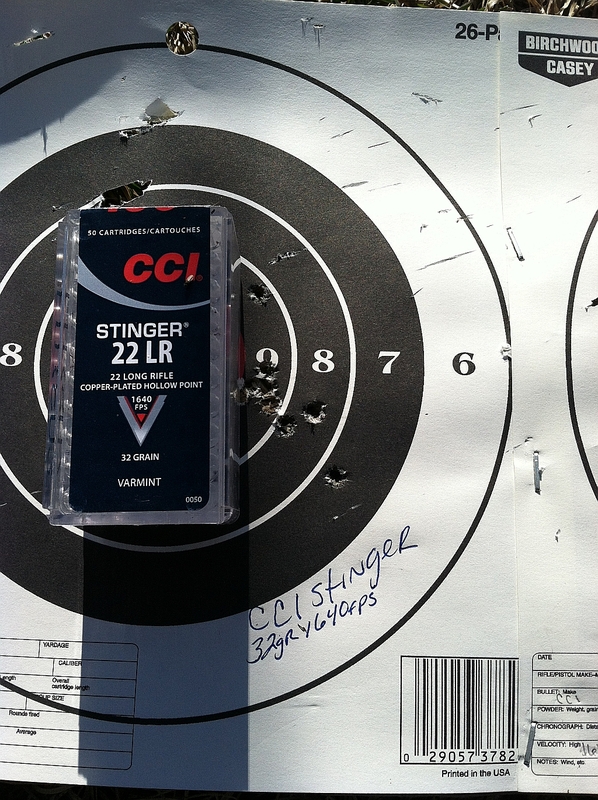 CCI Stinger 32gr copper plated hollow point, claimed muzzle velocity of 1,640fps. CCI Segmented Hollow Point, 32gr copper plated hollow point, 1,640fps. 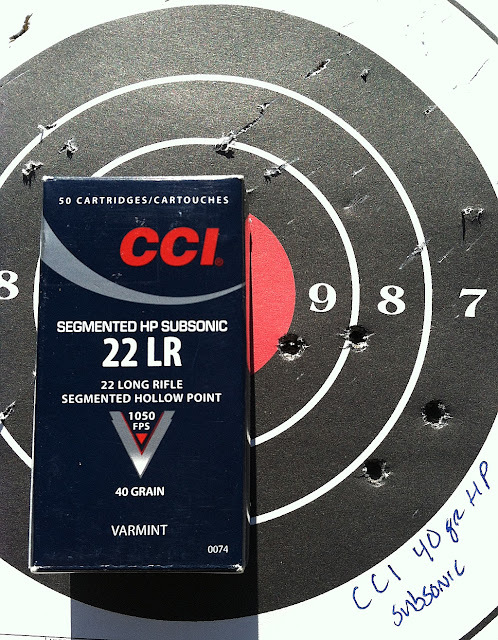 CCI Segmented Copper Plated Hollow Point, 40gr Subsonic, 1050fps. Winchester 40gr copper plated hollow point, 1435fps. Winchester Varmint HE 37gr, 1435fps. 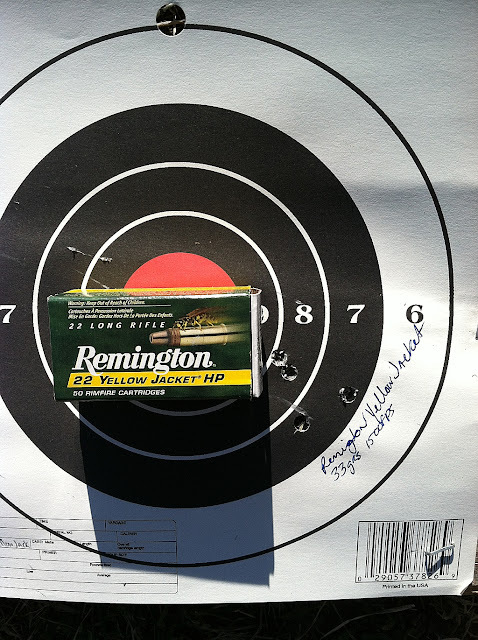 Remington Viper, 36grs Truncated Solid Cone, 1410fps. Remington Yellow Jacket, 33grs truncated cone hollow point, 1500fps. Fiocchi 40gr round nose copper plated. 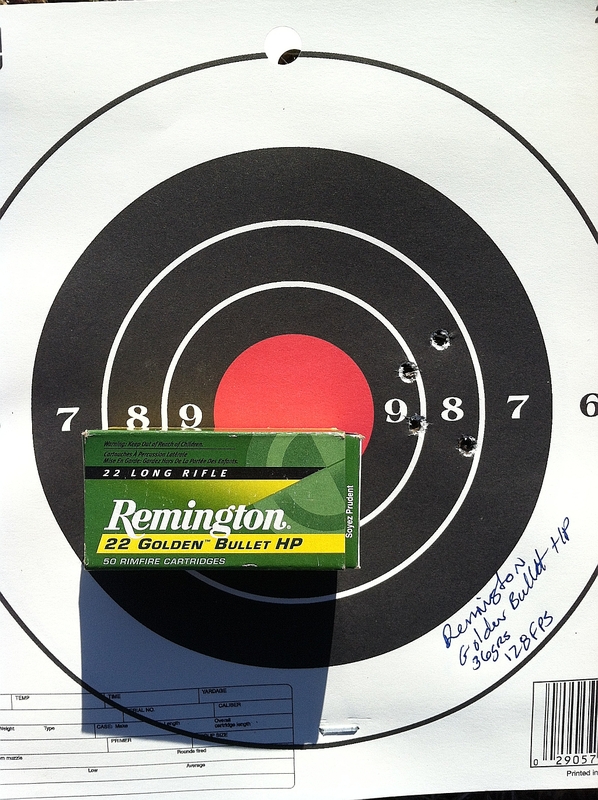 Remington Golden Bullet, 36grs 1280fps. 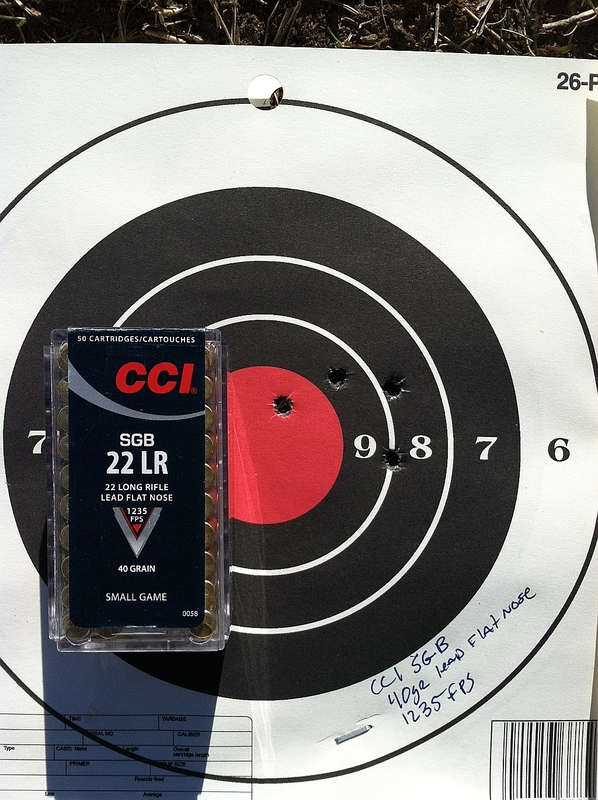 CCI SGM (Small Game Bullet) 40gr lead flat nose, 1235fps. CCI Blazer 40gr lead round nose. 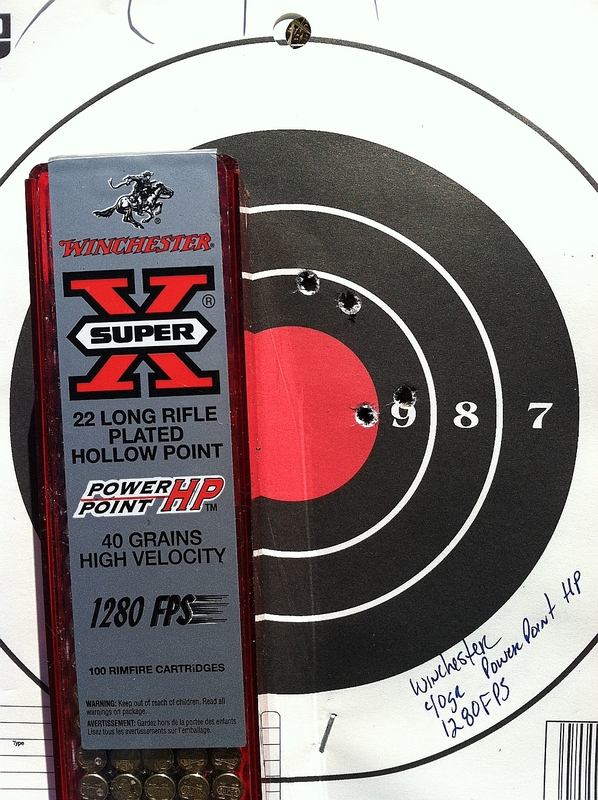 Winchester X22LRPP 40grs lead hollow point, 1235fps. Winchester 40gr Power Point 1280fps. 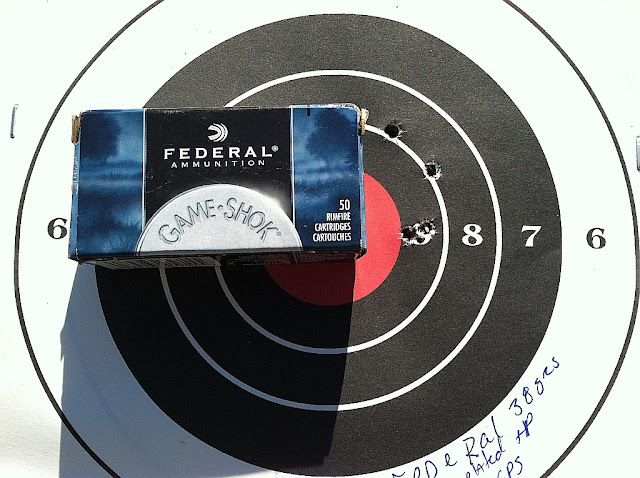 Federal 38grs copper plated hollow point. 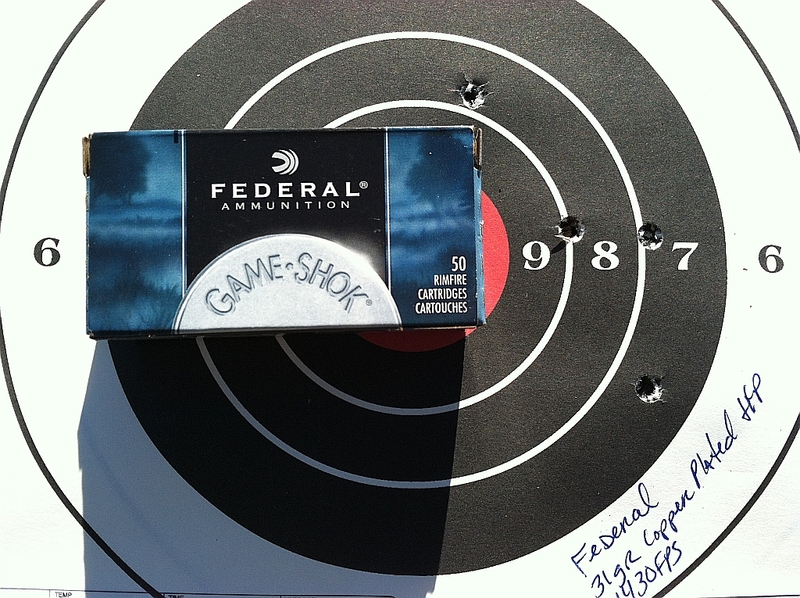 Federal 31grs copper plated hollow point. There were no fail to fire cartridges in the bunch. Some of the groups are a little wide and I know if I was taking my time they'd all have tightened up. 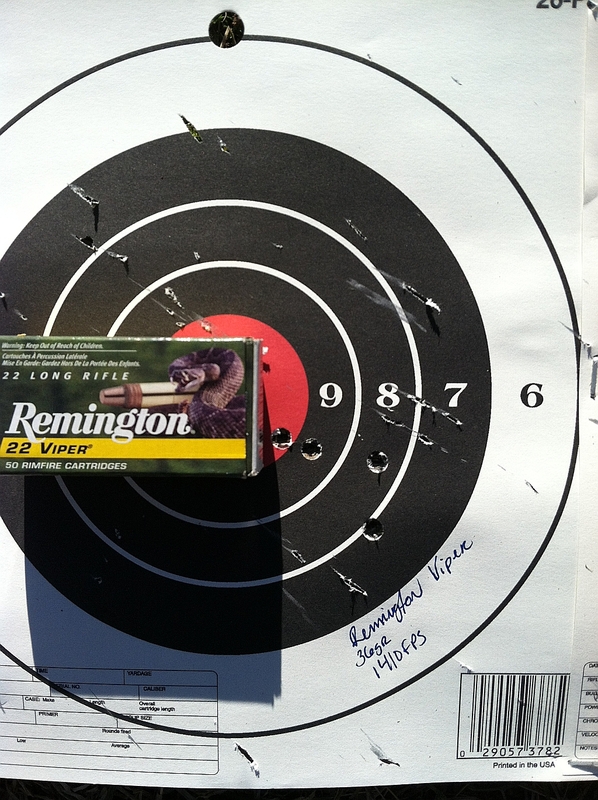 The Remington subsonic had a really nice group, as did the CCI Stinger and a couple of the Winchesters weren't too bad. In the upcoming segments we'll be reviewing the specific uses of each type, hypersonic vs. high velocity, why subsonic, and the various projectile types, penetration, expansion and why you don't want to use certain types in certain circumstances. The subsonic has the advantage of being quieter as well as accurate. 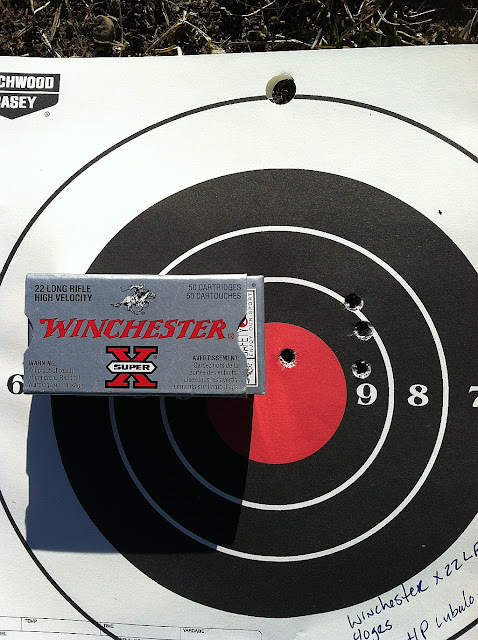 I did the same sort of thing with a Ruger 77-22. 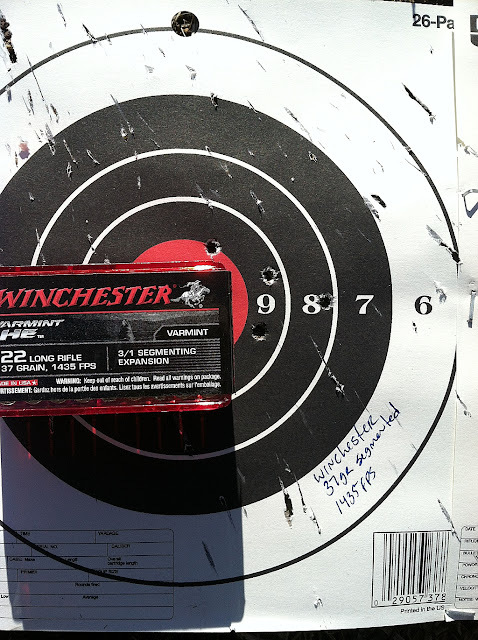 My go-to ammo is Winchester HVHP- it is accurate enough, penetrates enough, expands enough, and is cheap and available enough. Looks like it could hold a carry permit, firesteel,mini compass, spare ammo and and such, maybe even boresnake. They have the normal version and a large. The larger of the two rides on my big game rifles, it's big enough for a compass, bore snake, ferro rod, a rack of extra ammo (10rds), a optics wipe, there's still room for more. The regular version is still quite big enough for what most folks would carry in it. 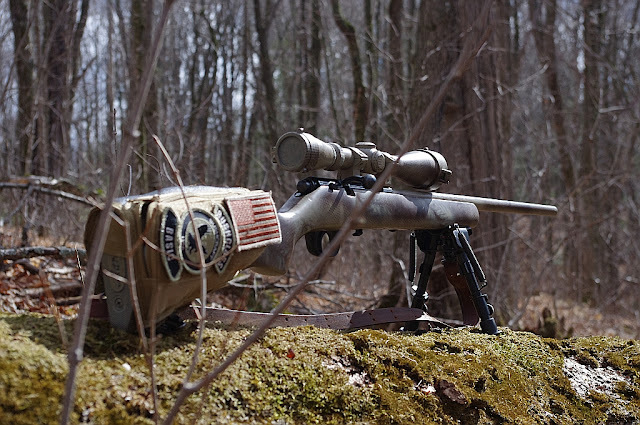 The one on the .22 has two extra 10rd mags, a compass, fire kit, optics cleaning kit, and a topo of my area. NP best air rifle pellet gun is quite a powerful rifle and is nitro piston innovation. 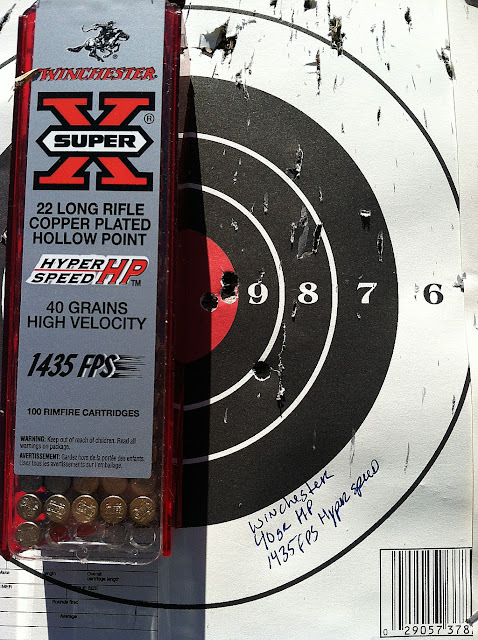 It is a break barrel air rifle, and has a whooping velocity of about 950 feet per second and 800 feet per second at lead.